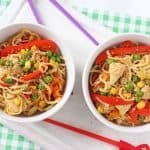 Make mealtimes fun with this twist on a chicken noodle dinner. 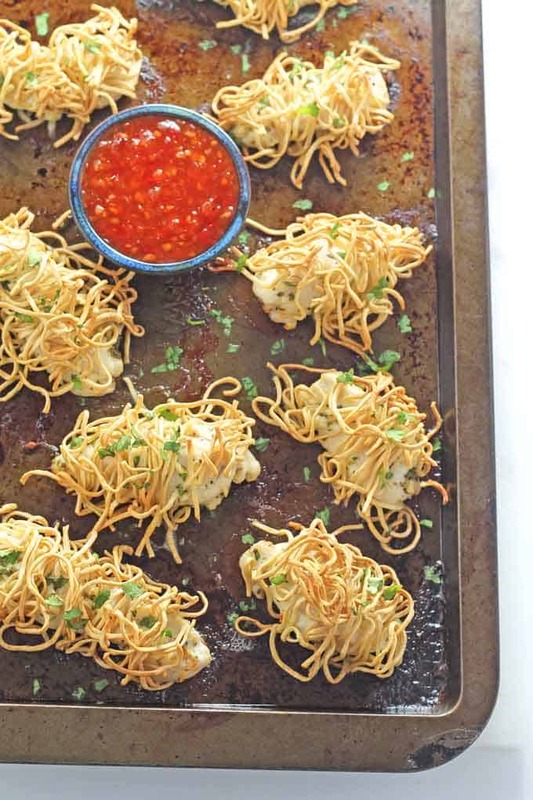 Chicken fillets marinated in garlic and herbs, wrapped in egg noodles and baked until crispy! Dinner is most definitely the meal which causes the most arguments in our house. My fussy eater is a big fan of snacks and sharing style food, but trying to get her to sit down to a full on meal of her own is more often than not a battle. I am working on trying to find new ways of serving basic recipes to her. 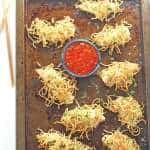 I recently found this recipe for Noodle Wrapped Prawns and thought it might be fun to try out the concept, but with chicken. First up, lets talk marinades! I find plain chicken to be quite bland and I don’t think it’s massively appealing to little appetites either. I marinated the mini chicken fillets in garlic, herbs and a crumbled chicken stock cube. It gave the chicken so much flavour and that was only after an hour marinading in the fridge. Leave it even longer and the flavour will be incredible! If you are out of the house during the day then you could whip up the marinade either the night before or in the morning. Come the evening all you will need to do is quickly cook the egg noodles, wrap up the chicken and then bake them for 15 minutes. Super easy! When it comes to wrapping the noodles it looks like a fiddly job but you don’t need to be perfect with them. Wrap a few strands around the chicken as best you can. If you have some very small strands that won’t wrap then just place these on top and they should stick as they cook. 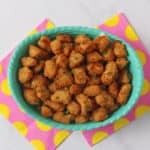 This job might be a bit tricky for young children but older kids will love to get involved in this part of the recipe. I am looking more ideas to try to inject a little fun into our meals. 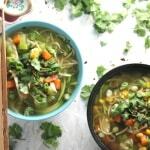 Do you have any recipes that could make dinner time more exciting for kids? 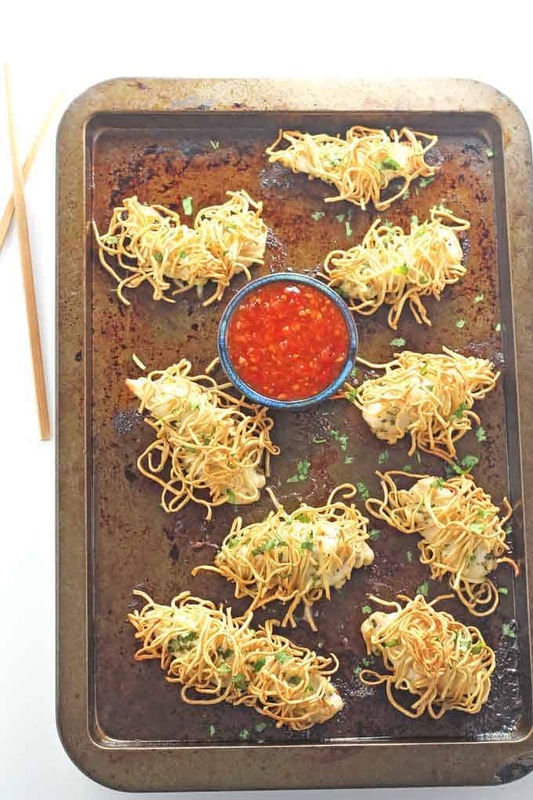 Make mealtimes fun with this twist on a chicken noodle dinner. Chicken fillets marinated in garlic and herbs and wrapped in egg noodles! 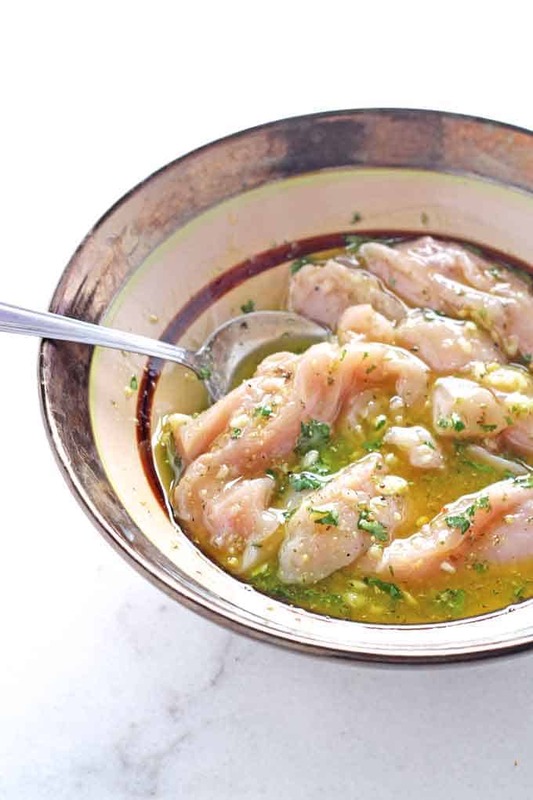 Prepare the marinade by mixing together in a large bowl the olive oil, lemon juice, garlic and herbs. Crumble in the stock cube and season with pepper to taste. Add the mini chicken fillets and mix until they are full coated in the marinade. Cover and leave in the fridge for at least an hour or up to 24 hours. When the chicken is ready to be cooked, preheat the oven to 180c and lightly grease a tray or baking dish. Cook the dried egg noodles accordingly to package instructions. They should take approximately 4 minutes in boiling water. Drain and allow them to cool. 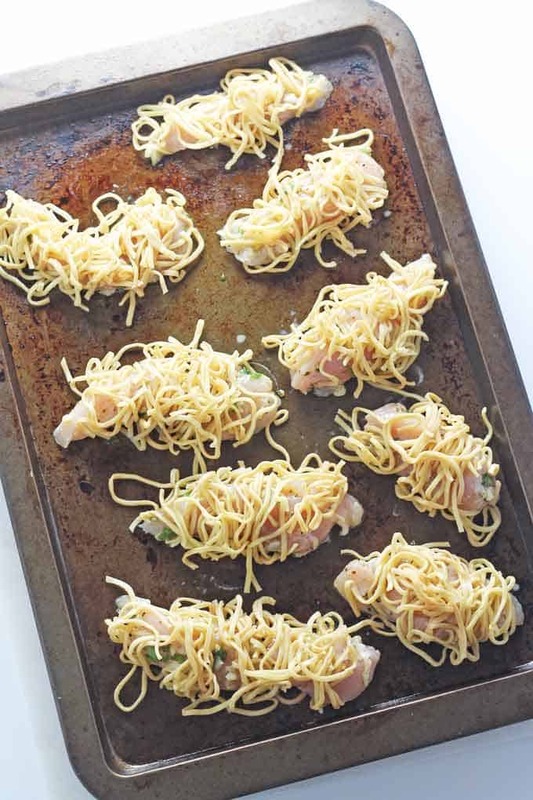 Remove the chicken from the marinade and wrap several strands of the egg noodles around each mini fillet. When all the chicken has been wrapped in the noodles, spray each one with a little oil and bake in the oven for 15 minutes. Serve immediately with stir fried or steamed veggies and a dip such as sweet chilli sauce or a basic sesame oil and soy sauce combo. So much fun! Kids thought they were amazing and ate loads. So good to have a new chicken recipe in my repertoire! Thanks Jason, glad you enjoyed it! Thanks Emma! I’m with you on losing your mind this week. Thank crunchie it’s friday! I love this idea! My youngest gets bored of too much of the same food & says he’s full halfway through his dinner..he loves sharing plates too…a little bit of this & a little of that & he’ll eat the lot! Thanks Helen. I definitely need to mix it up a bit more for a our dinners. We tend to get stuck in a rut of making the same things!